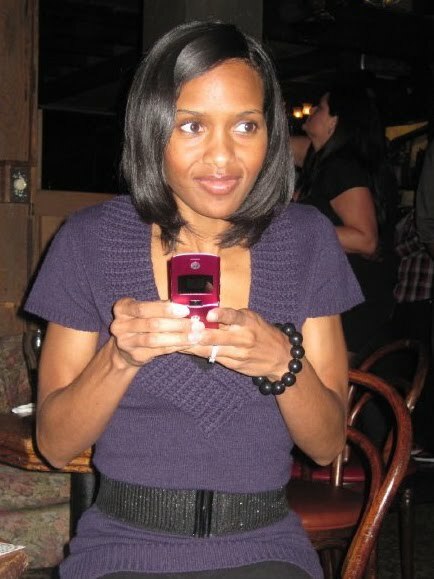 This is me holding onto my ancient cell phone before the incident although I imagine I didn't look too much different afterwards. I certainly felt a heck of a lot better that's for sure. My friends and I met up for happy hour/club night at our favorite local spot on Friday night to celebrate a birthday. What with moving and wedding planning I hadn't really been out with the gang in a long time and I've been looking forward to it for weeks. Everyone is so busy living their life that these outings have become fewer and far between. We drank, ate, laughed, danced and had a grand old time. Just like old times. There was wine, champagne, and then a shot of patron that magically appeared in front of me. When I say I had way too much fun I mean I found myself in the ladies bathroom with my head over the toilet at the end of the night. I was having fun and feeling great....until I didn't. I can't remember the last time that happened and if everything goes according to plan this incident will soon be a long forgotten memory as well. I swear there have been plenty of times that I drank way more then I did that night and had a totally different outcome. Oh yeah...didn't I just say that it had been a long time since I went out like that? Perhaps that would explain said inability to hold my liquor. That combined with a sort of empty stomach sealed my fate but it certainly didn't ruin my night. I was able to pick up right where I left off minus the booze plus lots of water for the last hour that we were there. And no hangover the next day thank you very much! Anyhow, I had a blast hanging out with my friends. Yeah, yeah, yeah I may be way too old for such shenanigans but hey...it happens. That can happen to the best of us. I hope you didn't feel too bad the next day.